Hundreds of MSJ students left class for 17 minutes on Wednesday, March 14 as part of the national school walkout, a demonstration against gun violence one month after the shooting in Parkland, Florida. Following a schoolwide announcement at 10 a.m., students voluntarily left class and walked to the amphitheater. Several teachers walked out as well, and administrators and FUSD Superintendent Kim Wallace stood at the back of the amphitheater to oversee the event. On the way, many students signed a wall-sized poster with the words “#ENOUGH: Mission San Jose stands with you” on the side of the office. At the amphitheater, students held signs and posters condemning the lack of political action regarding gun control. 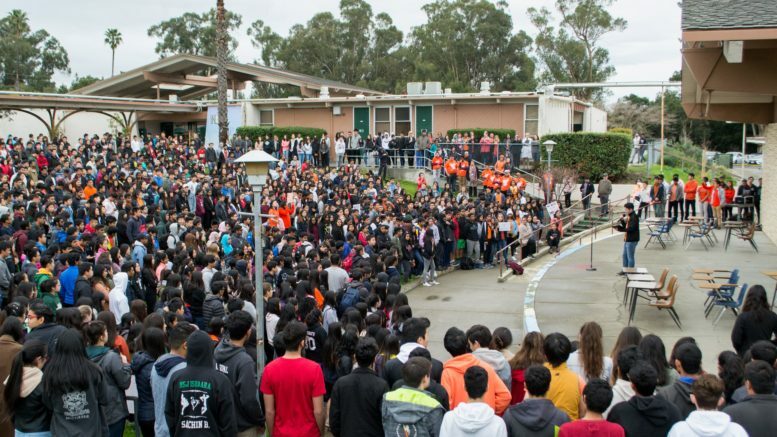 After ASB President Senior Raymond Yin officially began the 17-minutes protest with hopes that the walkout would “give a safe and organized way to voice their opinions on the matter,” he yielded the stage to two student speakers. The first speaker, Freshman Meera Sehgal, gave an emotional speech describing the 17 victims killed in the Parkland shooting. Some were marching band students, some were athletes and coaches, and some were heroic teachers who sacrificed themselves to save a dozen others. All of them were people who had goals, passions, and friends — just like the students in the audience. She emphasized their humanity and urged the crowd to never let the victims fade into another statistic. Students respectfully listened as she discussed her emotions regarding the shooting and reminded students why they were attending. After the student speakers, ASB Secretary Senior Cherin Koh announced that ASB will be coordinating a voter pre-registration event in April for MSJ students over 16 years old. 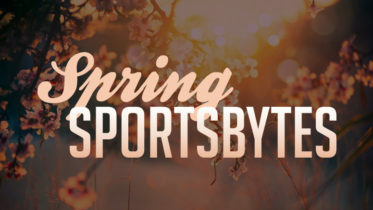 ASB hopes that to pre-register at least 50 percent of eligible MSJ students. ASB Vice President Senior Austin Chang concluded the 17-minute walkout, and students returned to their second-period classes. To coordinate the walkout, ASB officers worked extensively with administrators. Konda said, “We were mainly concerned about student safety; that was always our top priority.” Officers ensured that teachers were aware of the plans for the walkout and that Student Resource Officer Kelly Robinson was overseeing the event. Robinson said that he had no concerns for the walkout and was merely in attendance in case fights broke out during the peaceful demonstration. Students also contacted local news stations and newspapers beforehand; in addition to the Smoke Signal, KTVU Fox 2 and the Tri-City Voice were present to cover the event. Be the first to comment on "MSJ students take part in national school walkout"